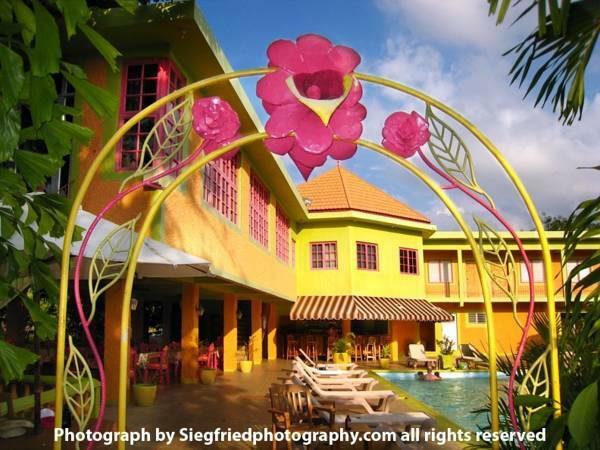 ﻿ Best Price on Oasis Resort in Negril + Reviews! Offering a furnished terrace, swimming pool and tennis court, Oasis Resort is located 3 km from the Negril Lighthouse and 5 minutes’ drive from Norman Manley Sea Park Beach. The rooms offer modern décor with wooden ceilings, air conditioning, fan, cable TV and balconies with garden views. The bathrooms are private and come with shower and free toiletries. The restaurant at Oasis Resort serves local food and international cuisine. There are also meal options within 700 metres from the complex. Oasis Resort is 20 km from Orange Bay and 4 km from Negril Town Centre. Coral Beach is 7 minutes’ drive away and the ultra-modern Sangster International Airport is 1 hour and 20 minutes’ drive away. Please note that the reception is closed from 19:00 h until 07:00 h of the next day. Guests arriving outside reception opening hours are kindly requested to inform the hotel in advance. Contact details can be found on the booking confirmation.